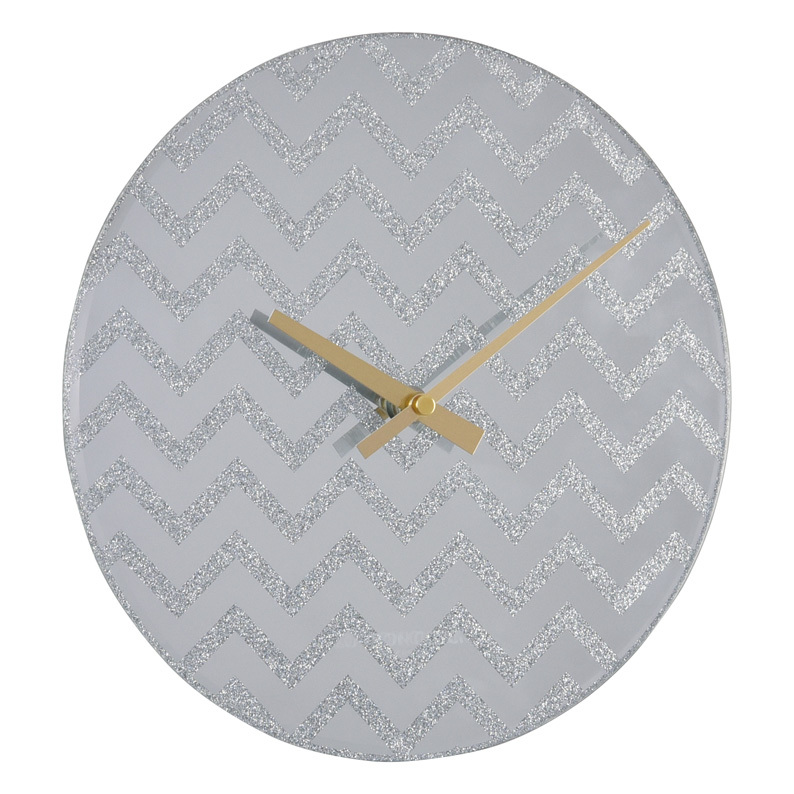 Go for the bling look with a fabulous glitter wall clock that is both an art piece and a functional item. 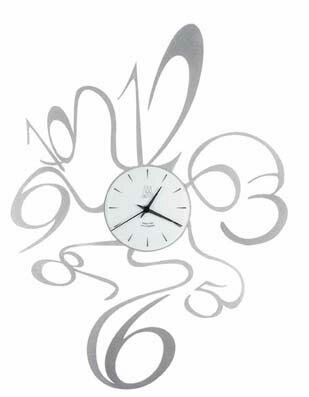 This timepiece has a mirrored finish and a stylish chevron design that works its way across the face. The angles of the pattern will catch and reflect the light from the flames in your cosy fireplace. No numbers are needed on this minimalist piece and a set of brushed brass hands contrast perfectly with the silver finish. A great gift for someone who appreciates classy home décor items. Size 35cm diameter, 3cm depth.